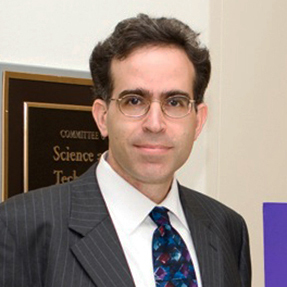 Doron Levy is a professor mathematics at the University of Maryland. He also has a joint position at the Center for Scientific Computation and Mathematical Modeling and is a member of the Maryland BioPhysics Graduate Program and of the Applied Mathematics, Statistics, and Scientific Computation Graduate Program. He received his Ph.D. in applied mathematics from Tel-Aviv University in 1997. As an applied mathematician, Levy's research focuses on biomedical applications of mathematics, particularly cancer dynamics, drug resistance, immunology, imaging, and cell motility. In 2013, he was named a Distinguished Scholar-Teacher by the University of Maryland, and in 2014, was named a Fellow of the John Simon Guggenheim Memorial Foundation. Levy is also a Pauli Fellow of the Wolfgang Pauli Institute in Vienna.